An Arizona teenager just made history by obtaining a scholarship. 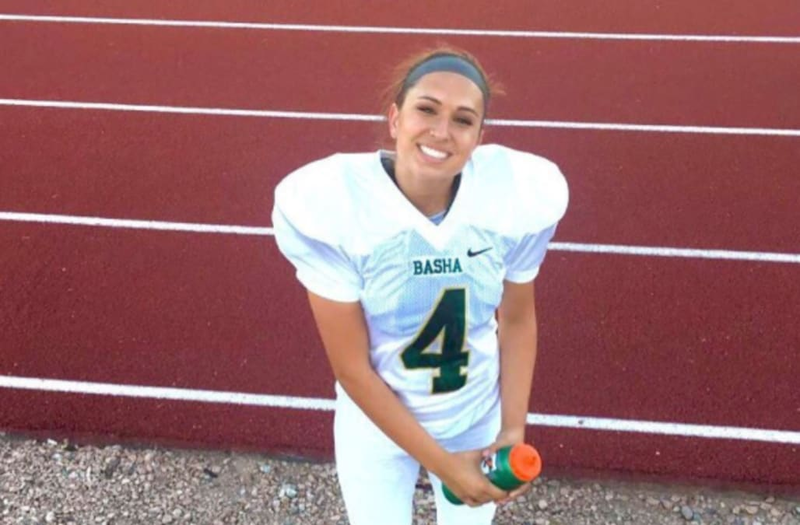 18-year-old Becca Longo is the first female to be awarded an NCAA football scholarship for D-II or higher. The high school senior will be a kicker for Adams State University in Colorado. Longo had started playing football as a child to bond with her older brother, and it turned into a passion. In high school, Longo made the junior varsity team in her sophomore year. After transferring schools, she sat out her junior year but started up again as a senior. She decided she wanted to play at a college level, and create a reel of her playing. Multiple schools, including Adams State, responded. Timm Rosenbach, head coach at Adams State, said recruiting Longo wasn't different than recruiting a male athlete. He told The Arizona Republic, "It was like recruiting any other athlete," he said. "In Division II, we can see their workouts. To me, there is no doubt she can be competitive. She has a strong leg and she can be very accurate." "My wife is a former pro athlete. I see [Longo] as a football player who earned it," Rosenbach said. Longo said she received some backlash, but that only inspired her more. "I got a lot of negativity and people saying I couldn't do it," she told PEOPLE. "But that's just what pushed me to do what I'm doing." "I know what I bring to the table so trust me when I say I'm not scared to eat alone." Super blessed to say that I will be continuing both my football and basketball careers in Colorado at Adams State University💚🏀🐻🏈 Go Grizzlies!